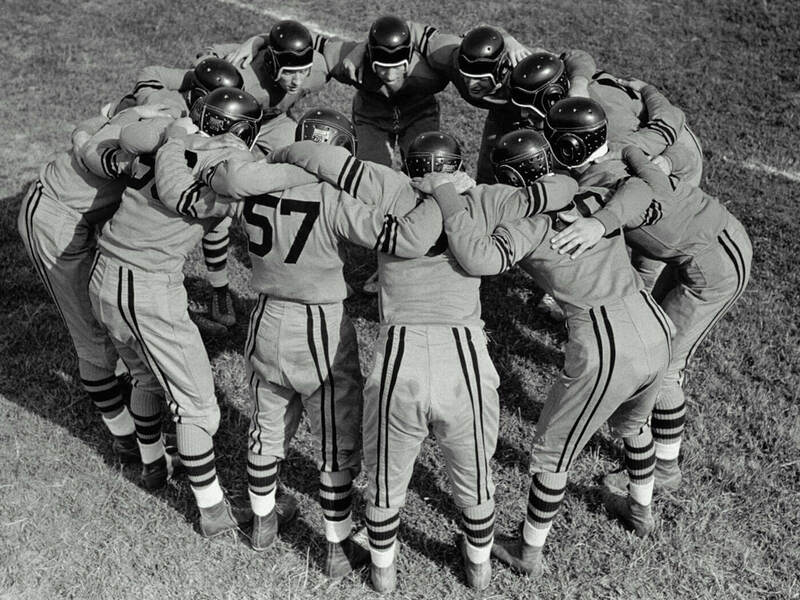 American football uniforms have seen many changes over the sport’s 135-year span. The trends weren’t always pretty (ahem, leather face masks), but it helped establish some iconic team looks. With Super Bowl LI in the books, let’s examine the history and current styles of football team uniforms—and the fanfare and backlash that ensued. Although versions of American football (inspired heavily by rugby) already existed, it was the rules introduced by Yale student Walter Camp in the mid-19th century that kicked off the evolution of the game we know and love today. Uniforms were nearly nonexistent. Players simply donned clothes in coordinating dark colors, like black or navy. It wasn’t until George Barclay designed a “head harness” in 1896 that players even began to wear protective headgear—which wouldn’t be a league requirement for decades. When the 20th century arrived, uniforms evolved with it. Due to the harsh, northeastern weather teams played in—before the invention of warmer domed stadiums—many early uniforms had a post-apocalyptic cage-match vibe. They consisted of strong canvas pants and thick wool or cotton shirts. They looked particularly funny underneath the fur coats some players wore to stay warm on the sidelines. Due to the harsh, northeastern weather teams played in, many early uniforms had a post-apocalyptic cage-match vibe. The first headgear wasn’t as protective as the helmets of today. 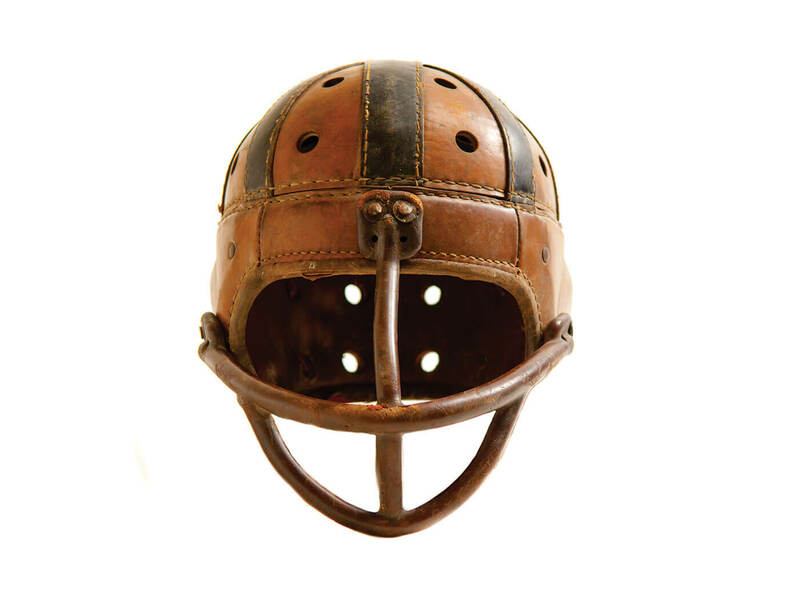 If players wore anything at all, they sported leather helmets (which earned them the nickname of “leatherheads”). There were many versions of these “head harnesses,” some even covered large portions of the player’s face. They would’ve made Hannibal Lector proud. When plastic versions were introduced, they were promptly banned due to several instances of shattering upon impact—until the manufacturing process was refined. Logos didn’t arrive until 1948, when halfback Fred Gehrke painted horns on his Los Angeles Rams helmet. The ’60s were rife with eye-catching color schemes and new, exciting logos. Once plastic helmets were fitted with full face masks and impact-absorbing internal air bladders, the addition of artwork was a no-brainer. What influenced branding? It could have been the introduction of the American Football League. Established in 1960, the AFL teams seemed to do a deep dive into a crayon box. The Denver Broncos wore full orange, Miami went aqua and the San Diego Chargers became iconic for powder-blue jerseys with yellow lightning bolts (as well as their equally electric performance on the field). The San Diego chargers became iconic for powder-blue jerseys with yellow lightning bolts (as well as their equally electric performance on the field). Welcome to the Super Bowl era, where the Steelers, Cowboys and Raiders won practically every Lombardi trophy between 1972 and 1981. As a result, their classic uniforms have been cherished for decades. 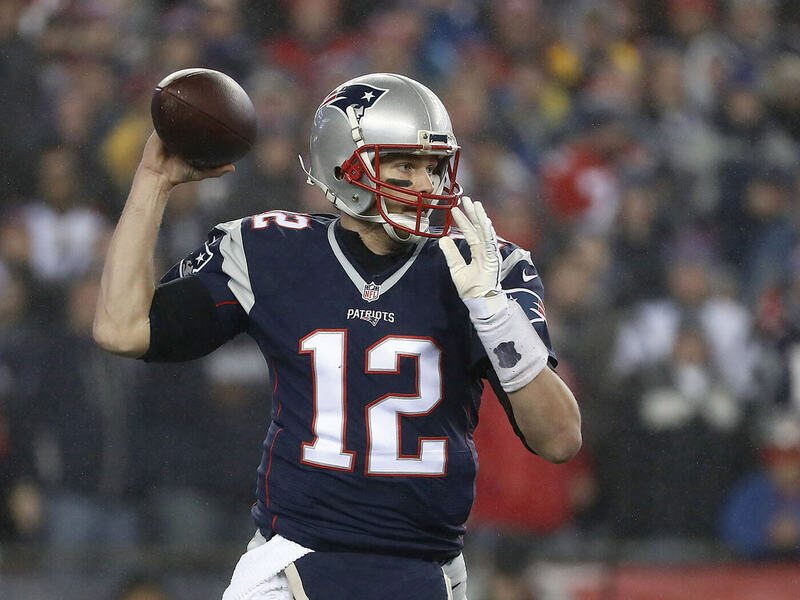 At the same time, the Patriots, Cardinals, Chiefs and Falcons unintentionally made the color red synonymous with losing. Several other teams encountered years of struggle in the new league, and their follies became synonymous with their uniforms. The “old gold” of the New Orleans Saints felt out of place. The Cincinnati Bengals borrowed color ideas from the fashion-backwards Browns. Teams that held titleship in previous years—like the Bears and Packers—saw the luster from their jerseys disappear. In the late ’70s, the league decided to add two new expansion teams—and with it distinct color schemes. The Seattle Seahawks introduced “action green” (think prehistoric neon) down their pant legs, onto their helmets and into their socks. The Tampa Bay Buccaneers introduced a creamsicle South Beach palette—thought by many to be a faux pas of football fashion. In the 1980s, fashion in football hit a wall. The absence of new designs—led in part by winning teams’ unwillingness to jinx it—made for a lack of interest in team uniforms. The San Francisco 49ers won four Super Bowls between 1982-1990, and fans were not into a redesign, lest it stop short their winning streak. It took a man—not a marketing team—to restore the luster of the jersey. 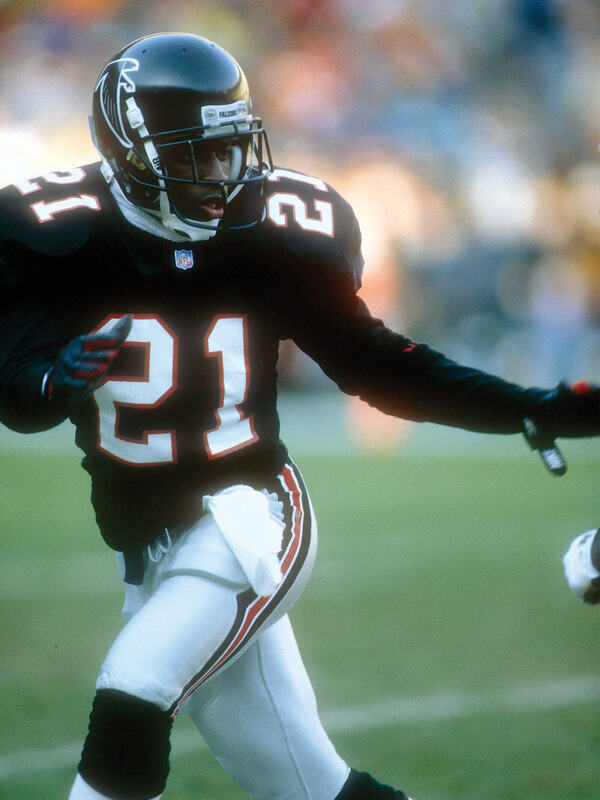 That man was Deion Sanders. He made glorious interceptions while taking punt returns to the house with high-step enthusiasm—all while representing a historically bad Atlanta Falcons. But the fact that the Falcons had only one double-digit winning season in 25 years didn’t matter. “Neon Deion’s” flash and swag alone sent jerseys flying off the shelves. The 1990s became the decade in which fans bought jerseys for teams they didn’t even follow, simply because of the players who wore them. Losses or team history didn’t matter—it was all about star power. The ’90s also ushered in jersey ubiquity; it was now acceptable to wear them in public, even outside of the stadium. Expansion teams arrived once again but, unlike their predecessors, the Carolina Panthers and Jacksonville Jaguars toned down the loudness with a black and teal color combo. The best team transformation of the decade was the Cleveland Browns, who moved to Baltimore and turned from the ordinary into the jersey hall of fame. Black, purple and gold became iconic as we watched linebacker Ray Lewis amp up the crowd pre-game while bruising his opponents on the field. Black, purple and gold became iconic as we watched linebacker Ray Lewis amp up the crowd pre-game while bruising his opponents on the field. Since the turn of the century, uniforms have become about experimentation: a slew of alternative jerseys, intricate design elements, pink gloves and shoes to promote breast cancer, and some excessive rebranding. But the most critical addition to NFL uniforms, and most impressive, has been in its fabrics. The buzz phrase you’re looking for here is “performance technology.” Football uniforms now contain nine different fabrics that protect the jersey from being ripped while introducing thermal cooling to each player. Uniforms are lighter, more flexible, shrink-fit and stronger at the same time. Player movement and comfort is now essential when designing uniforms. In addition, teams expanded their jersey variety. By the time 2010 hit, 12 teams carried four or more uniforms of different color combinations. The Cleveland Browns—who sported only two jerseys coming into this century—have 13 different uniform variations as of 2017. Part of this trend can be attributed to throwback jerseys and the monochromatic fad, which picked up when the New Orleans Saints wore black pants and jerseys in 2001. Now, monochromatic uniforms are in the spotlight every Thursday night thanks to the Color Rush movement. The response to a head-to-toe color takeover? Hit or miss. But you can only find reward through a little risk, right?